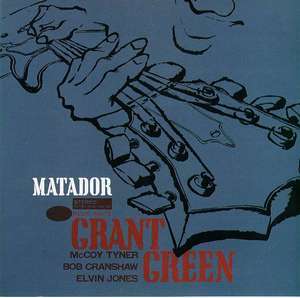 Grant Green’s ‘Matador’ is something of an enigma. 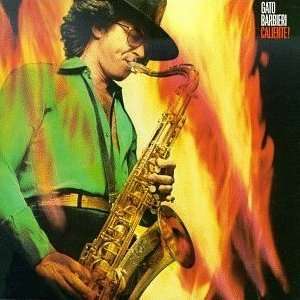 It is often said that Green’s guitar playing resembles that of a horn player – the fluidity and rush of notes for example – and on ‘Matador’, he takes inspiration from John Coltrane. It helps if you can call on McCoy Tyner and Elvin Jones from Coltrane’s classic quartet. ‘My Favourite Things’ is a quintessential Coltrane number (like ‘Greensleeves’), yet Grant Green’s take is more Trane than Trane. Bob Cranshaw on acoustic bass is particularly impressive, whilst Tyner and Green hit heights as soloists that mere mortal can only strive for. ‘Green Jeans’ is another slice of Blue Note magic. Jones and Tyner surpass themselves on Duke Pearson’s ‘Bedouin’ adding the Middle Eastern flavour that the label loved. What an exquisite melody! And Grant Green is Green at is most eloquent. Why this album remained unreleased until 1979 is a mystery, fifteen years after its recording.